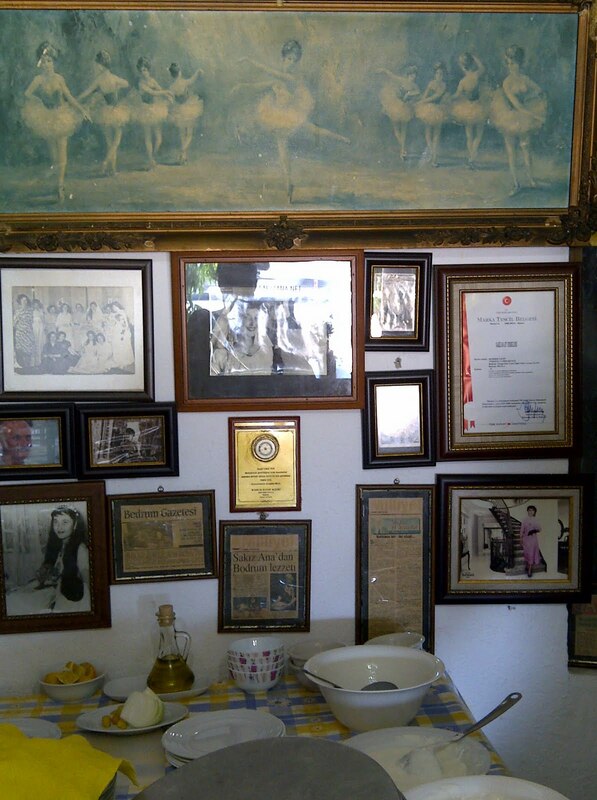 For years, on the Bodrum - Turgutreis road, we passed by the sign for Sakiz Ana, a family run establishment for home cooked meals that was always on top of my brother-in-law's go-to list for Bodrum. Since we had a lot of people living in the house this year, we decided to order takeout from them on a daily basis. I was delighted upon meeting Sakiz Ana, the 74 year old with a keen intelligence and an engaging personality. She runs a tight ship with a warm smile and lyrics of old songs on her lips. 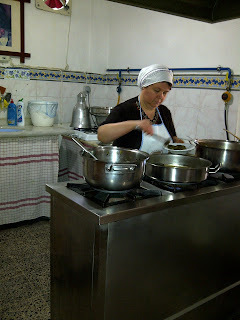 Her son and daughter-in-law work side by side with three more, one of a kind ladies who help out with the cooking and the service. While we were waiting for our food, we had a very nice chat about olive oil and the quality of local ingredients that go into their dishes. 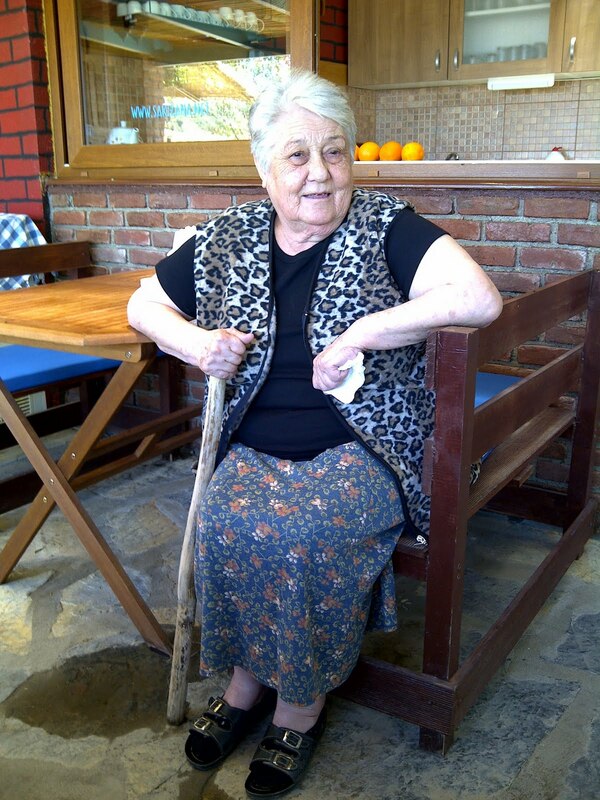 During our discussion, I learned that she was originally from Kocaeli (about 1 hour away from Istanbul) and moved here about 10 years ago. She has been in this business just as long. Sakiz Ana is very demanding when it comes to what she puts in her dishes. She says she would never cook or serve anything she wouldn't cook for herself and her family. The results can be tasted in her delicious meals. My husband especially loved their zeytinyagli (olive oil) dishes but I have to point out their patlican oturtma (fried eggplant with ground meat) is the kind of dish that will make you ask for seconds. Yesim Sakiz, is the lovely daughter-in-law who is running the little cafe right next to SakizAna. 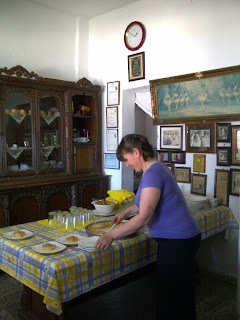 She makes wonderful boreks (a stuffed pastry that is made with layers of phyllo dough) and cinnamon cookies. She even made a birthday cake for us upon special order.